WASHINGTON -- President Donald Trump is vowing to step up efforts to combat the nation's opioid addiction crisis, and he's tapped New Jersey Gov. Chris Christie to lead the fight. Trump convened an emotional roundtable Wednesday with Christie, members of his Cabinet, law enforcement chiefs, recovering addicts and advocates. It was the first public event tied to the launch of a new addiction commission that Christie, a longtime Trump friend and formal rival, will chair. Trump listened intently as Vanessa Vitolo and AJ Solomon, two recovering addicts from New Jersey, described their harrowing battles with substance abuse. Both became hooked on prescription pain killers, and quickly transitioned to heroin. Trump also heard from a mother whose son died from an overdose after a long battle with addition. Her son, Trump told the mother, hadn't died in vain. "We want to help those who have become so badly addicted. Drug abuse has become a crippling problem throughout the United States," said Trump, citing statistics that show drug overdose is now the leading cause of accidental death in the country. "This is a total epidemic and I think it's probably, almost un-talked about compared to the severity that we're witnessing." Christie, a longtime friend of the president, headed Trump's presidential transition before he was unceremoniously replaced by incoming Vice President Mike Pence in the days after the election due to disagreements over its direction. While the governor has long maintained that he plans to complete his last year in office before moving to the private sector, speculation remains that he is eyeing a top job in the administration, and people close to him have said he is open to potentially joining it one day. Christie told The Associated Press earlier Wednesday that while he has "no interest in having a permanent role" in the Trump administration at this time, he was happy to spearhead the anti-drug effort at Trump's request. Christie has made the issue of addiction a centerpiece of his administration and spoke extensively about it during his own presidential bid. He has dedicated his final year in office to addressing the drug crisis. Last month, he signed legislation that limits first-time opioid prescriptions to five days' worth of drugs and requires state-regulated health insurers to cover at least six months of substance abuse treatment. "This issue causes enormous pain and destruction to everyday families in every state in this country," said Christie, who has been working behind the scenes with White House officials since shortly after Trump's inauguration. Trump promised during his campaign to stop drugs from "pouring" into the country, and said the new group would work with local officials, law enforcement, medical professionals and addicts to improve treatment options, prevent people from getting hooked in the first place and stop the flow of drugs across the border. He signed an executive order formally establishing the commission later Thursday. "Drug cartels have spread their deadly industry across our nation, and the availability of cheap narcotics - some of it comes in cheaper than candy - has devastated our communities," he said. But critics say that Trump's actions as president so far undermine his rhetoric. The failed GOP "Obamacare" replacement bill that Trump pushed to pass sought to end the Medicaid expansion, which provides substance abuse and mental health treatment. It also would have stripped requirements that insurance plans provide the services as "essential" benefits. "There is a massive gulf between President Trump's promises to tackle this crisis and the policies this administration has proposed during his first two months in office," said New Hampshire Sen. Jeanne Shaheen, a Democrat, who also called on the commission to reevaluate other budget cuts the administration has proposed. The commission was rolled out as part of a new office led by Trump's son-in-law and top adviser Jared Kushner, whose father Christie prosecuted in his former role as U.S. attorney. Christie, who had lunch with Kushner Tuesday, downplayed reports of tensions between the two, calling it "ancient history." The focus also gives Christie a chance to try to move past negative headlines that have helped fuel his unpopularity in New Jersey. 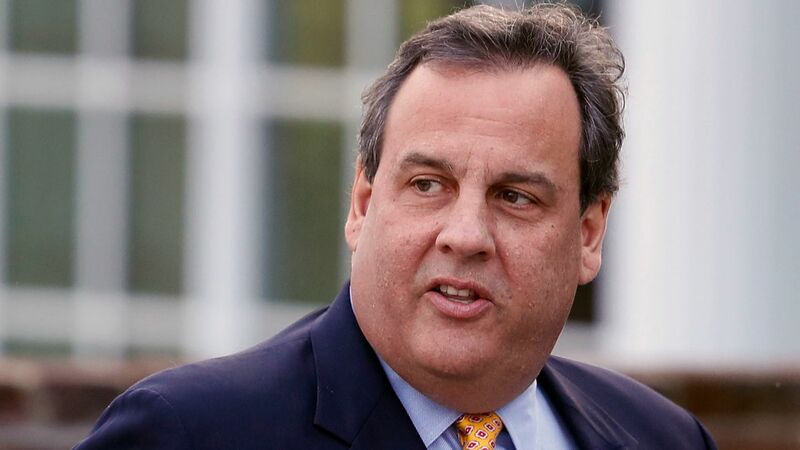 As Christie was appearing at the White House, two former aides were sentenced for their roles in the 2013 George Washington Bridge lane-closing scandal. Bill Baroni was sentenced to two years in prison, while co-defendant Bridget Kelly was sentenced to 18 months after they were convicted last November on counts including wire fraud, conspiracy and misusing the bridge for improper purposes. The scandal derailed Christie's presidential aspirations and may have cost him a chance to be then-GOP nominee Trump's running mate - a role Christie openly courted. Several of Christie's former aides now work in the Trump administration. Associated press writers Vivian Salama in Washington and Josh Cornfield in Trenton, New Jersey, contributed to this report.